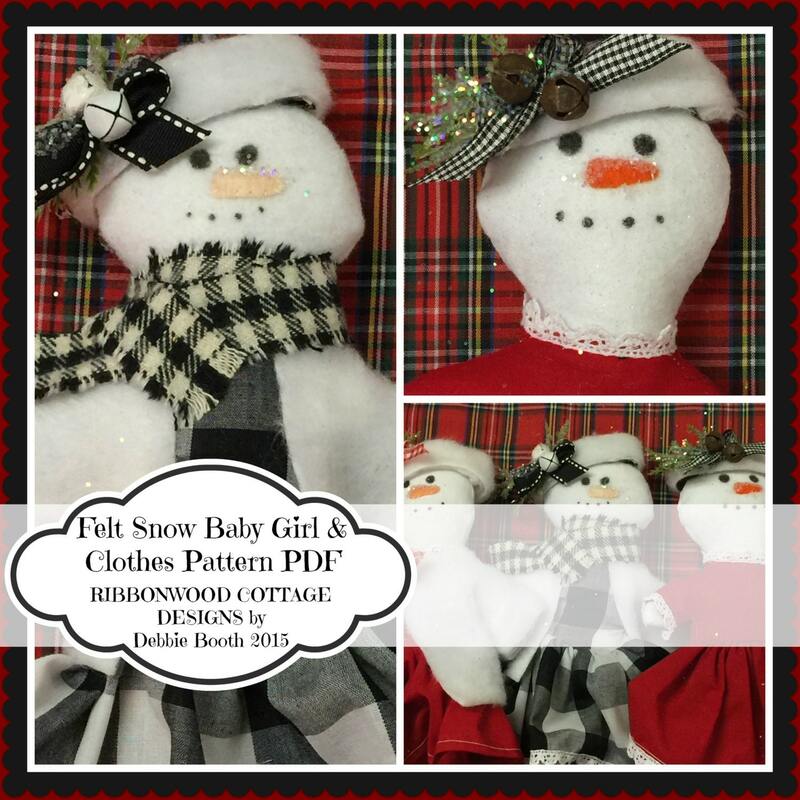 Sewing Pattern PDF Pattern-Wool Felt Snowman Feltie Baby Girl Toy and Clothes Doll 7"- 8"
I love this sweet little Snow Girl Baby with her cute woodland outfit. Lace edged dress, and fur coat, a cut little fur trimmed hat and scarf embellished with cute ribbons and bells. This pattern was made for you in mind. It is simple, easy directions, several photos giving you step by step guidelines. 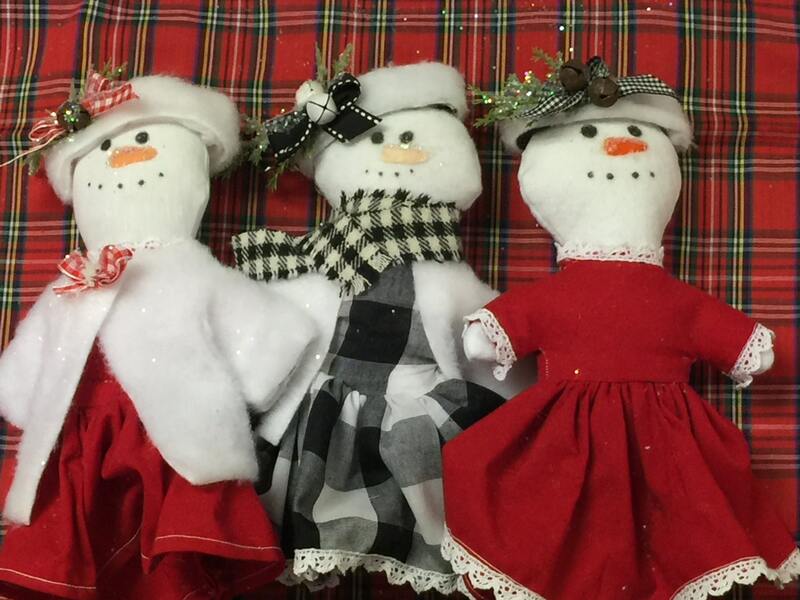 The snow girl is made using a simple pattern. The face is simple to draw and a little felt nose to sew on. Once I made one I made several! So cute, and perfect for the winter months. 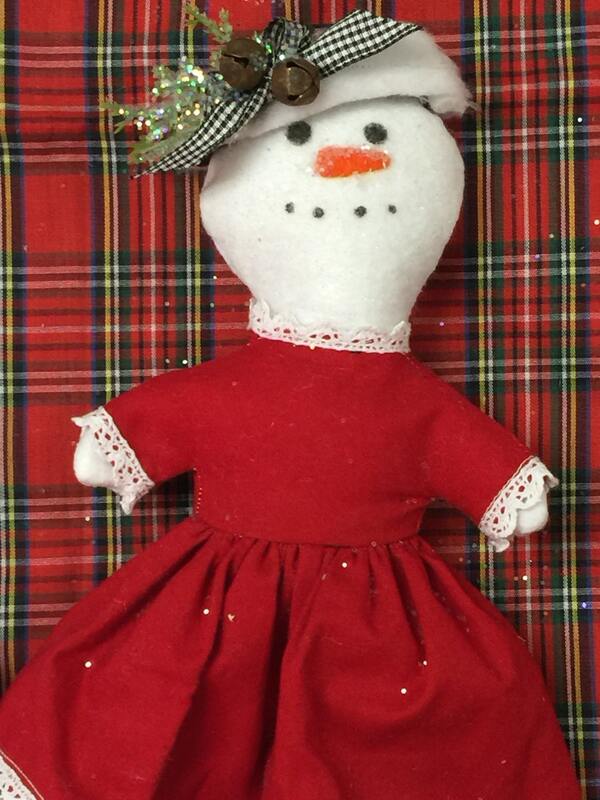 A jacket, and a scarf make it perfect to decorate with this little snow girl baby for winter or for Christmas. I love little snow girls in cute outfits. This dress is easy to assemble and could be made using any color fabric. Adding lace at the neck and wrists keep the sewing simple. 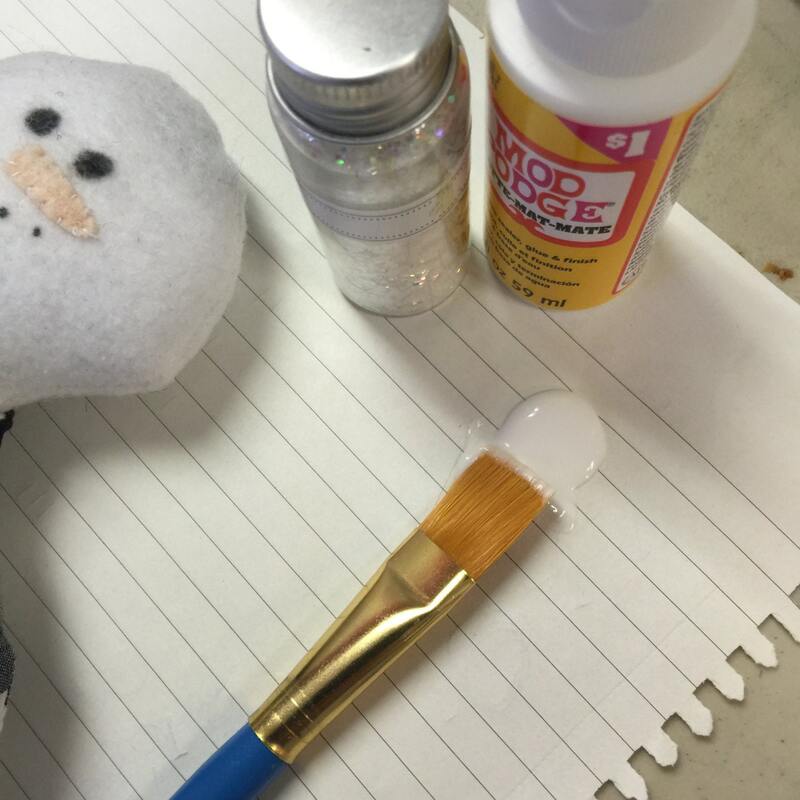 Once the basic sewing is completed, you can use a little glue and snow glitter to dust the snow girls face and clothes with. This is a PDF pattern. The files are immediately downloadable after purchase goes through. 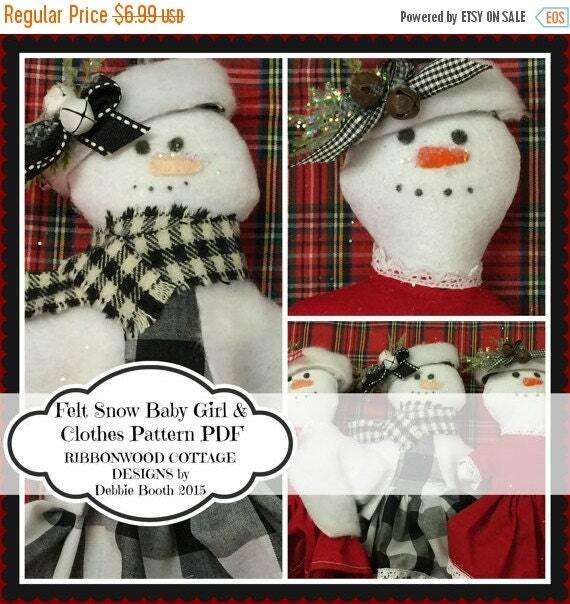 The files consist of directions to make the snow baby girl, clothing and hats and scarf with embellishments. You will receive the file, not the actual paper pattern in the mail. You also will not receive the snow baby girl in any form. This is a downloadable file, you will receive through email.